These Plastic Utensils Sets make serving easy. Each Utensil Set comes with a white Plastic Knife, Spoon, and Fork in a clear plastic bag. 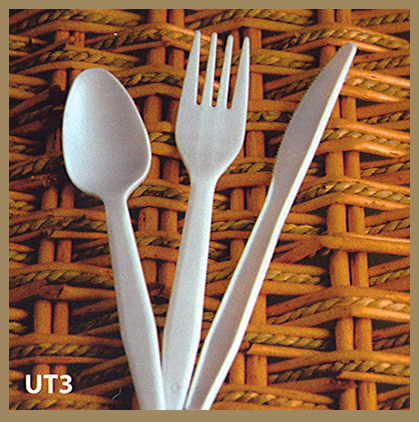 For additional information on our Plastic Utensil Sets or any of our other Bar, Nightclub, Restaurant, & Catering Supplies, please contact us at 1-800-233-0828.